Project Judge, now known as Judge Eyes is the upcoming game from one of my personal favourite development studios – Ryu Ga Gotoku Studios – the folks behind the Yakuza franchise. Judge Eyes, or Judgement, has had a few major announcements today. Most of all, these announcements have got me giddier than a puppy in a paddling pool. Do puppies like paddling pools? That sounded good, but it may be somewhat inaccurate. Anyway, that’s not the point. I’m giddy. Why? Because I won’t have to wait a long time to be able to play Judgement. Judgement is the western name for Judge Eyes. While Judge Eyes is set to release next week in its home nation of Japan, the general long waiting time for a western release has been cut somewhat short. SEGA has announced that Judgement will be coming west during Summer 2019. 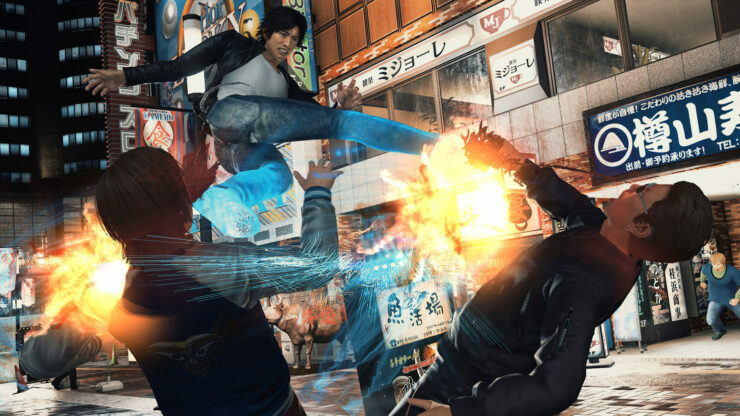 Project Judge takes place in modern day Tokyo, following a serial murder case. The main protagonist, private detective Takayuki Yagami (played by Takuya Kimura), is a man of conviction who fights for his beliefs, despite the overwhelming despair surrounding him. Other talented actors, including Akira Nakao, Kenichi Takito, Shosuke Tanihara, and Pierre Taki were brought in to play the game’s supporting roles. Additionally, the rock band ALEXANDROS enhances the drama to its peak with the original theme song Arpeggio and feature song, Your Song. This game is developed by Ryu Ga Gotoku Studios headed by Sega Chief Product Officer Toshihiro Nagoshi. The studio is known primarily for their work on the Yakuza series, which has sold over 11 million copies worldwide. Enhancing the game’s position as a courtroom thriller and embodying the feeling of playing a detective, players will need to utilize key investigative skills in conjunction with unique gameplay features to unveil the truths hidden at the core of Project Judge’s plot. What lies beyond the suffering and failures of the man trapped within his past; is it a divine revelation, or something more sinister? In other major news, Judgement has been confirmed to have dual English and Japanese audio, letting you choose between the original and (sometimes) crap dub. Though, honestly, I’ve always found the Yakuza games to be some of the better dubbed Japanese titles out there. The inclusion of dual audio is a fantastic one for purists, that much is certain. For anyone wondering about the original Japanese VO in Judgment, the game will launch with dual audio, meaning you can swap back and forth at will! Dual subs as well based on which audio track is selected – EN matches the EN script, JP subs are the traditional Yakuza experience. All I can say as a huge fan of the Yakuza series and already enjoying what I can see of this game is roll on Summer 2019. Or at least somebody please teach me Japanese by next week. At the moment, only a PlayStation 4 release has been announced. However, due to recent ports of Yakuza to the PC, I wouldn’t be surprised to eventually see it on the PC.